Maruthi to direct Ram Charan after Sukumar and Koratala Siva. 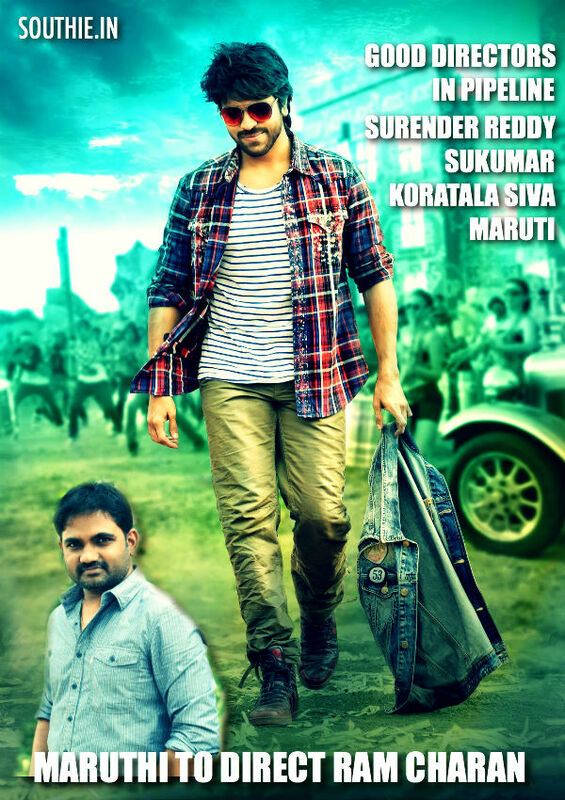 Home/NEWS/Maruthi to direct Ram Charan after Sukumar and Koratala Siva. Maruthi to direct Ram Charan after Sukumar and Koratala Siva. Ram Charan has a very interesting line up on directors, some very good movies with original content can be expected from Ram Charan. If the ongoing buzz is to be believed, Maruthi may direct none other than the Mega Powerstar Ram Charan in his next film. Apparently, senior producer C Ashwini Dutt, who launched Ram Charan with Chirutha, will be producing this crazy project. Discussions are going on at the moment and an official announcement is awaited in this regard. There are also unconfirmed reports that Ram Charan would soon be acting in the direction of Sukumar and Koratala Siva. These two directors are on a high after the recent success of their last films. Hot Tamanna in Thozha Oopiri audio Launch. Sai Dharam Tej and Varun Tej are just opposite in planning. Brahmotsavam release preponed to first week of May? Varun Tej and Srinu vaitla movie to be produced by Bujji. Brahmotsavam record beats Sardaar Gabbar Singh by 3 crore. Megastar Chiranjeevi doesn’t give a damn to his detractors. Sarrainodu, Brahmotsavam and Sardaar Gabbar Singh craze reaches peaks. RC 11 Sukumar and Mythri Makers team up for Ram Charan. Theri to have a blockbuster opening, Vijay to smash all records. Visit Southie's profile on Pinterest. Copyright 2014 Southie.in, All Rights reserved.